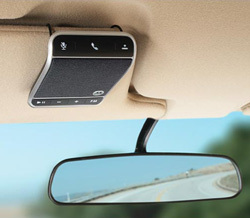 I would love to win a MOtorola Roadster IN-Car Speakerphone. I am an email subscriber. My dog chewed half my earpiece on my current hands free thing so I could really use this! Thanks. I am a Facebook fan who wants to a Motorola roadster In-car speakerphone. Miss you on MSL radio but LOVE your blog…would love to win that speaker! Thanks. I love your newsletter! Thank you so very much for giving us the chance to win a Motorola speaker! I want to win! Please enter me…. Please enter me to win. Love your newsletter. I’m a subscriber and love your newsletter! And sure would love to win the Motorola Roadster! I would love to win this! Thanks so much for the chance. I love your blog, great information!! make me a safe driver, let me win a blue tooth car speaker. Of course, I’d love to enter. Please count me in! Oh, and I’d love to win too. I love your newsletter and would love to have this for driving!! I’m already an e-mail subscriber. That’s how I found out about your giveaway. I would love to win this great device for my commutes! Subscriber and I’d love to win this! I would love to win a Motorola Roadster In-Car Speakerphone! No more earpiece!! I want to enter for the Motorola Roadster, it looks like a real handy product to have. I referred 6 friends, thanks! I’m subscribed and would like to enter to win this. OOOoooo. Pick Me Pick Me!! Thanks! I’m an email subscriber. This device would be great for my young driver and peace of mind for me! I’m a subscriber and I’d like to enter the giveaway. Thanks! This is SO perfect for me! I am a Techlicious newsletter subscriber. Please enter me in the Motorola Roadster In-Car Speakerphone giveaway, I really, really want to win one of these. I would love to win cause we are planning a road trip with the kids and this would be a good tool to have. I would love to win one of these. It would be great for traveling in the car as I look for a job. Sign me up. I’m tired of putting the phone to my ear. Please enter me in the sweepstakes. Thanks! I’d love to win the Motorola Roadster. It sure would come in handy - and be a real safety feature! Love your site enter in contest please! Please enter me in the drawing. Thank you in advance. Have really enjoyed reading the newsletter. Thank you for the opportunity to win the in-car speaker! Would be perfect for someone like me that drives about 40k miles a year. I would love to win the Motorola Roadster. I am e-mail subscriber. Love the informative e-mails I receive.